Roxie Herrman, owner and operator of Advantage Resumes, began writing resumes in December of 1980. At that time, Roxie had recently founded and operated Secretarial Services Plus, a virtual office support center for executives and professionals in Wichita, Kansas. 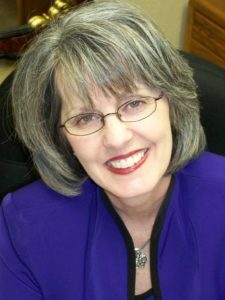 At the same time, she expanded her business as one of the first resume writing services in Wichita, and became one of the most recognized writers in the field of resume writing. The majority of her entire professional career is dedicated to resume composition whereby she interviews with strategy, insight and personal service. Since that time, Roxie has helped many career and job seekers, and written thousands of resumes for executives, professionals, aircraft industry workers, government workers, college students, and military personnel. Wichita, Kansas, June 14, 2011: Hiring practices have changed enormously over the last decade as employers gravitate to online postings, resume databases, and automated screening software. Combine these changes with the recent surge in unemployment, and job seekers face a complex and challenging task to create their marketing materials and manage their job search for best results. Now, Roxie Herrman of Advantage Resumes, Wichita, Kansas, is better prepared than ever to provide job seekers with the powerful tools they need in today’s highly competitive job market. Roxie Herrman has completed a rigorous training program and earned the Academy Certified Resume Writer designation – a high-level certification that signifies mastery of best-in-class resume strategies. Roxie Herrman, owner and operator of Advantage Resumes, began writing resumes in December of 1980. At that time, Roxie had recently founded and operated Secretarial Services Plus, a virtual office support center for executives and professionals in Wichita, Kansas. At the same time, she expanded her business as one of the first resume writing services in Wichita, and has become one of the most recognized writers in the field of resume writing. The majority of her entire professional career is dedicated to resume composition whereby she interviews with strategy, insight and personal service. Since that time, Roxie has helped many career and job seekers, and written thousands of resumes for executives, professionals, aircraft industry workers, government workers, college students, and military personnel. The Resume Writing Academy (www.resumewritingacademy.com) is the first comprehensive, strategically focused resume training program that teaches writers of all experience levels how to develop resumes that get noticed and get results. 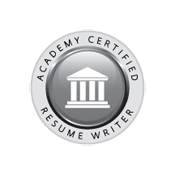 Founded and led by industry leaders and multi-published authors Wendy Enelow and Louise Kursmark, the Resume Writing Academy is recognized for its rigor, high standards, and accomplished graduates. Roxie Herrman joins an elite group of more than 60 ACRWs nationwide. Call or email to set up a time for us to discuss your goals and start writing your cost effective, high-impact, personalized resume.